The internet is changing and that’s an obvious fact. Users are now able to access the internet in a number of ways that couldn’t have even been imagined ten years ago. Tablets, laptops, gaming devices, watches, and mobile devices are becoming increasingly popular as a way for visitors to find your website. That’s why having a website that is optimized for devices like mobile (i.e. 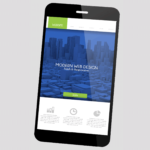 mobile versions of websites) is extremely important to your business. Also, if you haven’t heard by now, Google started rolling out its mobile friendly algorithm update, which boosts mobile search rankings for websites that are mobile friendly.